Armada Engineering launched in 2011 fueled by the desire to overturn old school ideas about how race vehicles are engineered and designed in favor of innovation with leading-edge technology. Today we’ve brought new life into race vehicle building from concept through high-quality finished product. 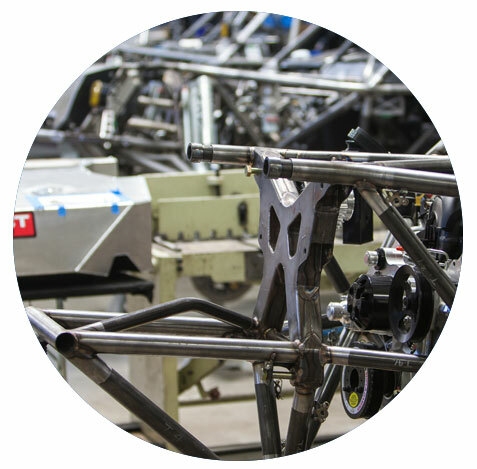 Our team of experienced engineers, fabricators, mechanics and ASME/AWS certified welders make sure that every detail is designed for off road dominance. And we don’t stop there: we’re a full-service arrive and drive shop with a tight team of race support pros that handle all the details of track support and logistics to make sure you’re set-up for success for all your off-road endurance racing needs. Our clients are all over the globe, so wherever you want to go, we’ll take you there. Extensive testing goes into every build. We help Adam Lunn get dialed in before every race to give him the confidence to do well on race day.